This Tesla Model 3 review is reprinted from Reddit, where this man posted it. We are sharing his post with due credit for Torque News readers. A user, named evpotatoe, writes this review. I rented a Model 3 for a day (through Turo) to get the chance to do an extended (250+ miles) test drive before deciding whether I want to follow through on our day 1 reservation or not. I am the kind of person to spend 3 hours trying to save $50 on a plane ticket, or compare 12 different $25 toasters on Amazon before making a decision. I figured I should be pretty sure about whether I actually wanted to follow through on this "second most expensive purchase of all time" (after the house). Tesla Model 3 is fast. It reminded me of a P85 test drive I took a while ago. Any ICE car I have driven just doesn’t compare. It is much sportier than the Model S, but still feels a bit heavy around the corners. The Autopilot (just got the recent update) was great, but got spooked twice on our 200 mile highway trip. Once by bad markings, and once by shade from an overpass (it hit the brake). Overall it was an excellent experience, but I was definitely keeping my hands on the wheel. The ride on a Tesla Model 3 (19 inch wheels) was totally fine. I expected it to be super stiff based on reviews, but I would have no problem road tripping in this. Voice recognition was excellent too. Waiting on Supercharging was no problem at all. I was surprised how a quick bathroom break will add 100+ miles of range (my Model 3's screen said it was charging at 114kw, i.e., 353 mi/hr). The Autopilot in stop and go traffic was one of the best things in my review experience. If I had a commute with highway traffic this would be a game changer. The Model 3 is spacious. You could, in a pinch, sleep in this car if you move the front seats forward and fill the gap with some bags. The Camper Mode should definitely be added to the Model 3. It took me only 10 miles to get used to the screen in the middle. I really don't see the problem some reviewers have mentioned, or even the need for HUD. Speed and directions were easy to spot on Model 3's big screen, and being in the Autopilot most of the time I didn't have to worry about speeding. The door handles are unnecessarily complicated. There is no need for the Tesla Model 3's door handles to be reversed on the outside, and to have an intuitive button on the inside. I had to explain it to multiple passengers. I just don’t see the upside, but its not a big deal. Here is a weird paradox: I ended up not enjoying the speed/driving experience much, because most of the time I was on Autopilot. And while driving myself, I constantly wanted to see if the Autopilot could do it. Competing FOMO! The glass roof the Tesla Model 3 is cool, but the novelty wears off. Sadly, at night you can’t see stars through it because of the dark tint. During the day it might spot some nice clouds, or the sun gets in your eyes. The Audio was good, but I wouldn’t say "amazing," like some reviewers have said. I would compare it to any mainstream car brand’s "upgraded" audio. Considering these thoughts, I am thinking the premium package of the Tesla Model 3 is not worth for me. Let’s just hope the base model cloth seats are going to be good. Tesla's mass-market EV felt a lot smaller than I expected. .This is definitely a “compact to medium sized” car. There is not a problem for daily commuting, but I just don’t see this to be a car to take multiple friends on a camping or ski weekend. This is an argument for the Model 3 as a second car, rather than an only car, which also negates the need for the LR model. There was a lot of wind noise on the highway. Many ICE cars in this price range are much more quiet. The Autopilot didn’t register my hands on the wheel a few times, so I had to squeeze it like a stress ball or move it a little bit (but not too much or I’d take it out of the Autopilot). I found myself constantly reminding the Autopilot that I am still here. It reminded me of jiggling a mouse to avoid the screensaver from getting started. Is Tesla Model 3 Worth It? At 57,000 dollars (as tested with LR, Premium, Autopilot) it's not for my situation. This is partially due to the fact I don’t commute by car (I might feel different if this was a daily driver, especially in traffic). Thus, I am going to hold my place in line for now, and get the "base model plus the Tutopilot" if by that time I can still get the tax credit. The key factor I am worried about is depreciation. If the Tesla Model 3 depreciates like the Model S and Model X, the total cost of ownership will be quite low. But if it depreciates like the Nissan Leaf (losing 60% in 3 years), being an early adopter is going to be very expensive, even if with the tax credit. 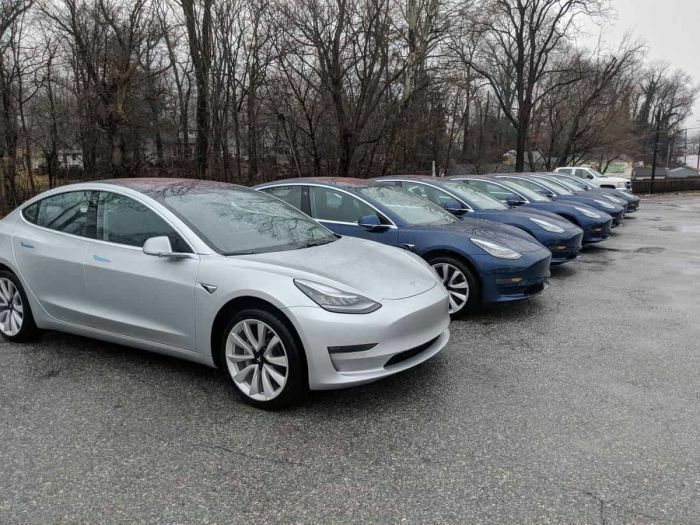 Tesla Model 3 is a fantastic car, especially for daily highway/traffic commuting, but $57,000 is a lot of money for a small/medium sized sedan, even if it's the coolest one ever made. I can't wait for the base model to arrive. If you have test-driven or already own a Model 3, please share your thoughts and reviews below in the comments section as well. Didn't make me want to go out and buy a Model 3. The autopilot is a disaster waiting to happen - how can they claim it is an autpilot if you have to keep your hands on the wheel? The Cadillac Supercruise is far superior and the battery pack in the Tesla's is far more dangeous than the Bolt's battey pack, which never ignites and catches fire in an accident. I also don't see the high resale value continuing for the Model S after its horrific fatal accidents and the current oversupply and discounting going on. The market for the Model S and X seems to have been saturated - their sales have dropped , which means their resale value has dropped also. I also have to laugh at claims of fast recharging when the Porsche Mission e and other CCS protocol vehicles will charge more than twice as fast and have an overwhelming number of recharge stations, since CCS is the de Facto worldwide standard fro recharging. The competition will also have greater driving ranges as well. Tesla is now, or soon will be, trailing in practically every electric car technology.